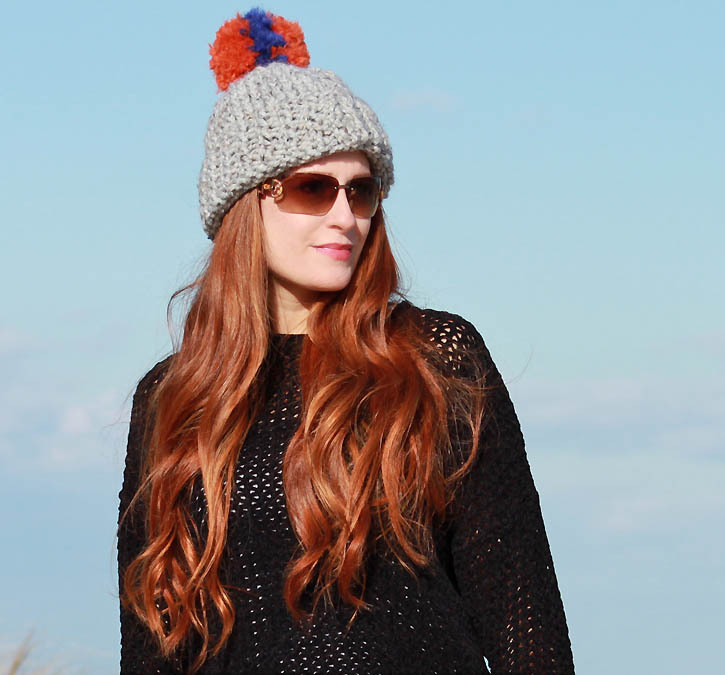 I really love this Eugenia Kim hat so I made a knitting pattern inspired by the design. 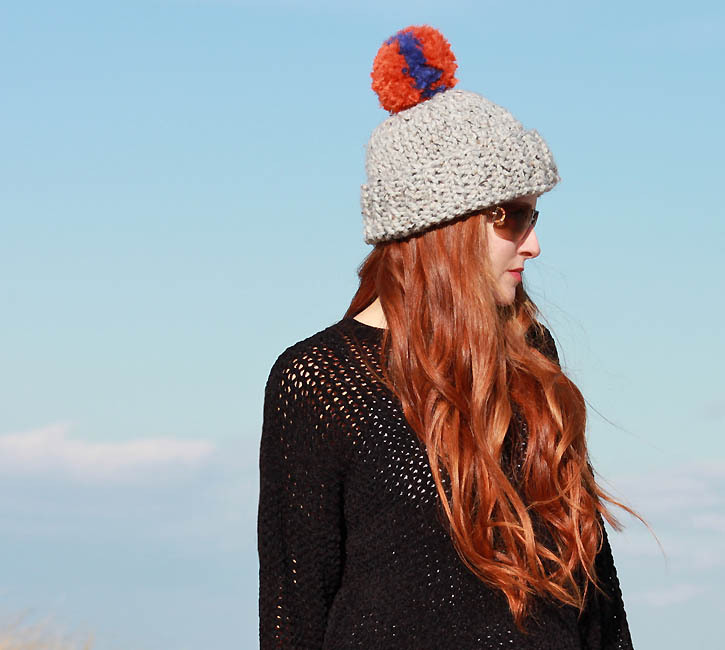 The combination of the basic hat and the colorful pom pom is so cute! 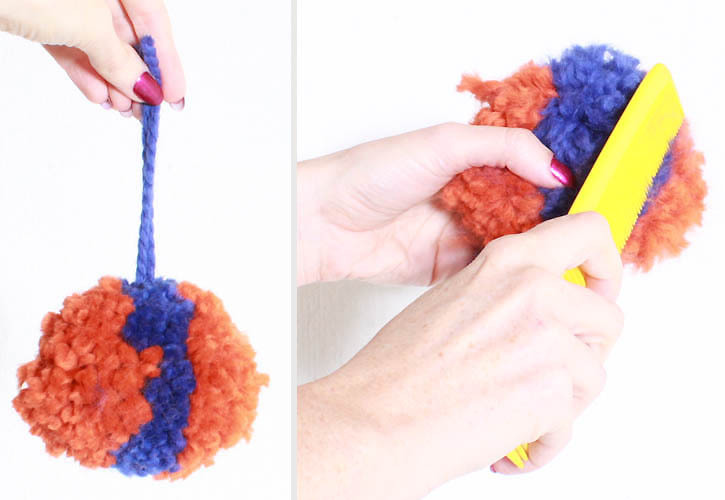 I don’t wear real fur so I wanted to re-create the Fox pom pom using yarn. Work in K1, P1 Rib for 4 inches. Switch to Stockinette Stitch and work until piece measures 10 inches from the beginning. Next Row (Dec Row): *K1, K2tog, rep from * across row Next Row: Purl across row. Next Row: K1, *K2tog, rep from * across row Next Row: Purl across row. Next Row: K2 tog across row. Cut yarn, leaving an 8 in. tail. Thread tail through stitches of last row and pull to secure. Use the tail to sew the side seam together. 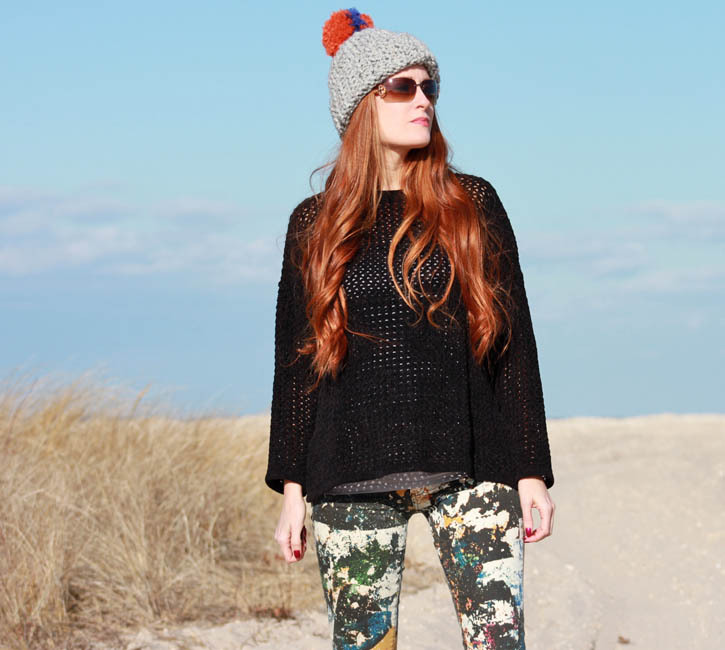 Want more Eugenia Kim Inspired Knitting Patterns?